Gaye Gronlund, MA, is an early childhood consultant and trains educators, administrators, and policy makers across the country. She is a former preschool, kindergarten, and primary teacher of both regular and special education. 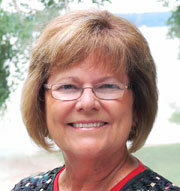 Gaye holds a master's degree in adult learning and early childhood education. She is the author of Saving Play, Focused Observations, Early Learning Standards and Staff Development, and Developmentally Appropriate Play. 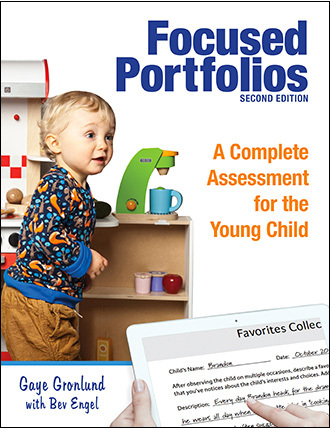 Newly updated with current best practices in observation and assessment using portfolios. Play, academics, and standards can work together with the right strategies and support from educators. Take an active role in child-directed play to guide learning. 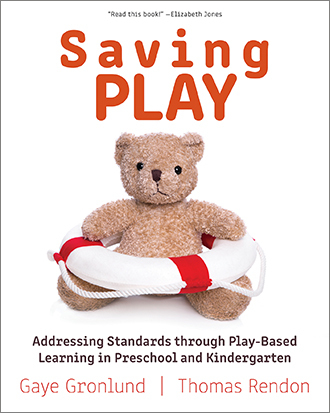 Become a strong advocate for saving play in early childhood education. This book is full of research and resources that link academic learning and play experiences. Use the provocative questions for teachers and administrators to effectively share the importance of play in early learning with others, and help restore play to its proper role as both fun and educational. How do you focus on each individual child in a full classroom? 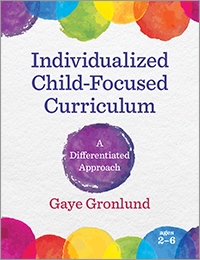 Learn to integrate individualized curriculum into daily practice with this step-by-step guide. Even good observers and documenters do not always use these insights to inform their curriculum planning. Using Developmental Studies, a new tool created and successfully field-tested by the author, implement a truly child-focused and individualizing curriculum, meet children at their developmental level and ultimately making teaching easier and more rewarding. Age focus: 2–6. Softbound 200 pgs.